As part of its system designs, TDS can provide Vehicle Make and Model Recognition (VMMR) and/or Vehicle Color Detection (VCD) systems. These systems can be provided as stand alone hardware systems for local installations or TDS can provide these capabilities as a service to an agency. The system requires significant computing power to extract the make and model from the JPEG images and serve up the results in less than a second. The service relies on sample images from all possible make and models and views that are visually indexed into a database for fast retrieval. The image captured that is submitted to the process will be matched against that database and the make and model of the matched sample will be the make and model of that car. In addition, a color detection of the vehicle will provide additional information that will help identify the vehicle quickly. Detecting colors will require calibration of the image according to the illumination at the entrance in which the image of the car is captured. Images will be calibrated at different times of the day in order to get reliable results. The tighter the environmental control, the better the VCD will perform. In each following year new makes and models can be added as they become available. Year Range - The year range in which the shape of the vehicle model from a specific view is the same. Tagged and archived make/model information that can be queried at any point in the future. An example query would be to search for a mustang 2002 within 5 miles of the White House on Jan. 5 2013. This is useful for law enforcement agencies to resolve crimes by searching for a specific vehicle based on the make and model that was reported by witnesses. General usage statistics of vehicles in a given area can provide municipalities with information such as how many sedans vs trucks vs hybrids drive in a certain area. Stolen cars often have a valid license plate swapped out with the original plate to avoid being caught by law enforcement. This is known as "cold plates on a hot car". Standard ALPR systems are not sufficient for detecting a swapped plate. However, crossreferencing the recognized make and model with the registered make and model gives the ability to produce an alert when this situation arises. 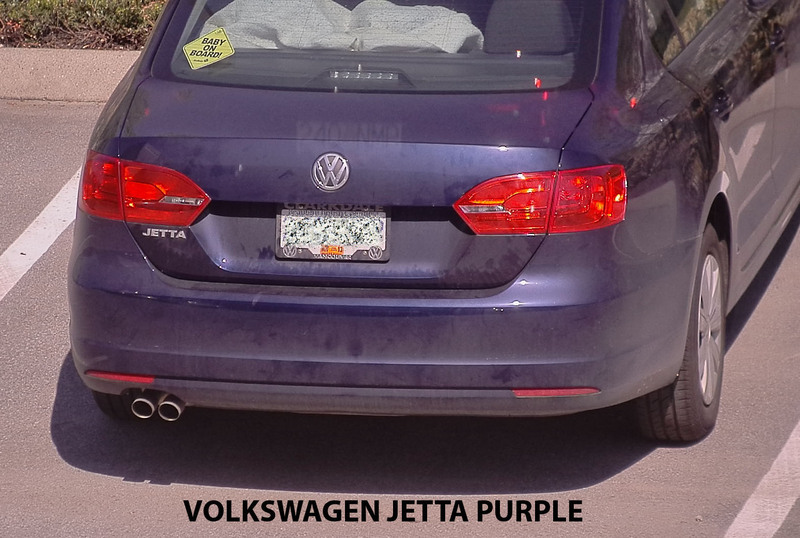 The VMMR validation service can be used to improve the license plate reading by crossreferencing the recognized make and model with the registered make and model. If there is no correlation between the expected models and the recognized model, the license plate reading can try to swap some of the low confident reading with alternate characters. There are some big merchandise distribution centers in the US in which clients are picking their orders. These distribution centers are looking to minimize the distribution process by directing the customer's vehicles into parking spots that are monitored by cameras. Each customer that is coming for a merchandise pickup is identified by his car's license plate and model and is directed to a designated parking spot. Once the client is arrived at his designated spot, the car will be located by a person that will upload the car with the merchandise and release the car as fast as he can. These distribution centers must be capable of distributing close to 4000 orders a day. Some surveillance applications require realtime alerts such as when a particular make/model is in the area (such as an "Amber Alert"). Images can be sent to the Orpix VMMR service in realtime and quickly generate alerts if a match to a particular make/model is found. Since realtime alerts are often cross checking results against a hot list, less computing resources are required (similar to the Verification use case described above). It is often noted that people "are what they drive". Valuable demographic information can be inferred from what kind of car a person drives. Using mounted cameras at a gas station, for example, to display better advertisements on a gas station TV at the pump, can be quite valuable for advertisers, and provide the driver with more relevant ads.